Welcome to our 3rd Annual Juice Box Challenge! Summer 2019 we need your help delivering more than 378,000 100% juice boxes to hungry children living in food insecure homes and we can't do it without you! Join the challenge with more than 35 groups of all sizes in simply collecting juice boxes for our children from Monday, June 3rd- Friday August 30, 2019. Email Kelsey@kidsmealshouston.org and let her know you are in (we will give you a social media shout out when you sign up to help!). We were absolutely blown away by the support of last year’s challenge in collecting a record-breaking 315,000, 100% juice boxes! 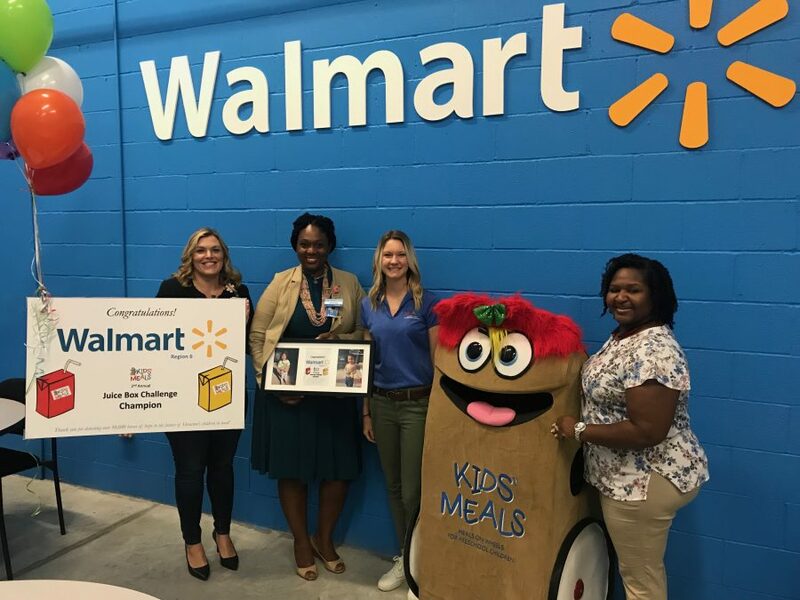 Our 2018 Juice Box Heroes were our partners at Walmart who collected more than 51,000 juice boxes (2017 Juice Box Heroes -Stage/Palais Royal). But don't let that intimidate you from joining in the fun-- we have prizes for all sorts of participation and every single juice box is needed! Some groups donated 100 juice boxes and believe me we needed every single one of them. WINNER CATEGORIES: We understand that every group is not able to donate thousands and thousands of 100% juice, juice boxes and we want everyone to know how appreciative we are to receive ANY amount of 100% juice boxes. They are one of our greatest ongoing needs and one of our highest costs. This year we decided to incorporate 3 additional winning categories to make it more fun! The categories are listed below. 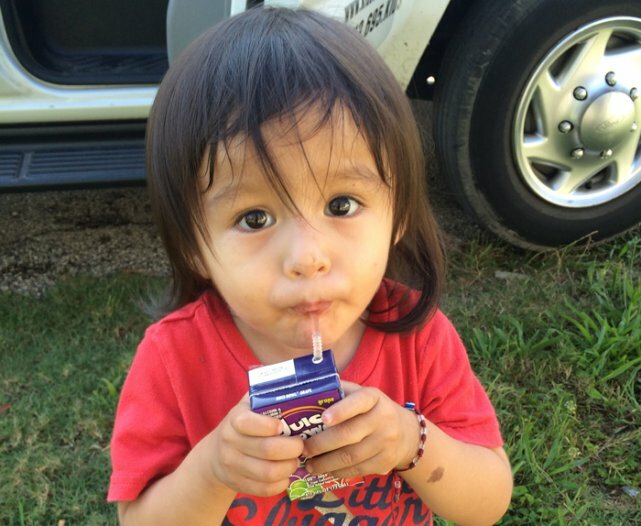 Juice boxes can be delivered between Monday, June 3rd- and Friday, August 30 to 330 Garden Oaks Blvd, Houston Tx 77018. Kids’ Meals is happy to pickup juice box donations that are more than 2,000 boxes. Any amount over 2,000 boxes can be picked up on Kids’ Meals time frame. We will need at least one week notice prior to picking up juice boxes. We ask groups to provide volunteers to help load if we are picking up from your location. If you cannot supply volunteers to help load, we need one week notice prior to the pickup date to recruit volunteers. All juice boxes should be in one central location prior to pickup. Monetary donations can be made online and will be counted toward the group total (Juice box packages will be available for purchase through our online link starting Monday, June 3rd). Again, we are so thankful to have partners like you, and know this year’s Juice Box Challenge will be the best one yet! If you have any questions at all, please contact Kelsey@kidsmealshouston.org .